This is a wine of pleasure par excellence: the nose is particularly aromatic, smelling sweetly of raspberry and morello cherry. 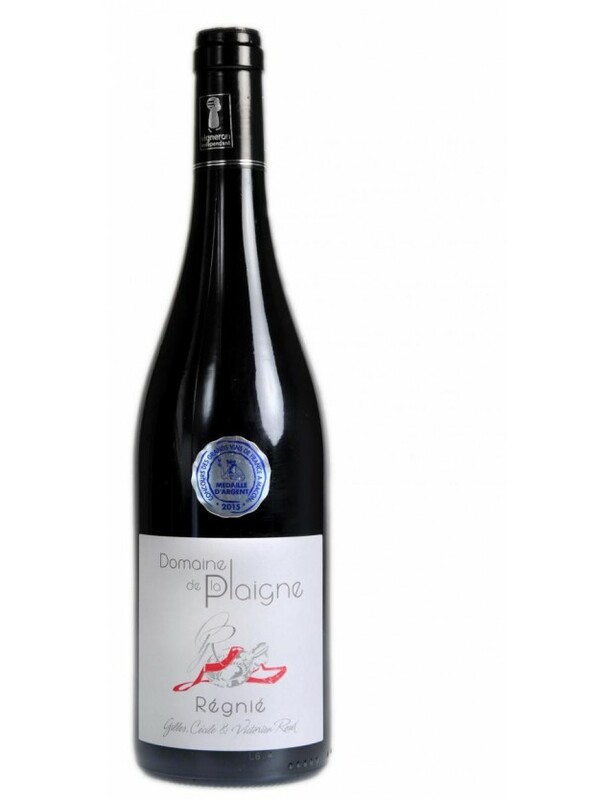 Its rounded, full-bodied and flavoursome mouth is magnificently seductive.It was a medallist at the Concours des Grands Vins de France in Mâcon, and selected by the 2016 Hachette wine guide. Il s'accordera à merveille sur un thon grillé, un filet de bœuf, un filet mignon de porc ou un faisan. Welcome to Domaine de la Plaigne, located in the commune of Régnié-Durette, well-known for the church with two bell towers, in the heart of the magnificent Beaujolais region. This is a family business, with the fifth generation now expressing their passion on the estate. It extends over an area of 15 ha. Gilles and Cécile joined by their son Victorien, manage this estate on which they produce five appellations from a single variety; Gamay, a red grape with white flesh: Régnié, Moulin-à-Vent, Morgon, Beaujolais-Villages Red and Rosé and a traditional method demi-sec rosé, as well as one Chardonnay appellation: an exceptional white Beaujolais-Villages.